Received in a lookfantastic box along with other products from this brand, and I really love them all! Especially that scent! Had wonderful experience and purchased other products from them too! I can feel that the hair is cleanly washed and my scalp feels fresh. Hair remains clean, fresh and the nice scent for a prolonged time. I received the sample in my LF advent calendar and had to order the full size product. My hair has much more volume and appears thicker. It looks better both in an updo and down, I would definitely recommend this product. 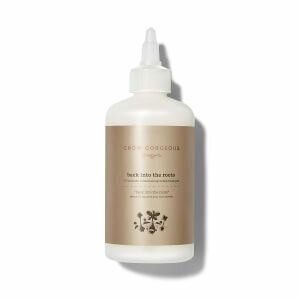 I was really looking forward to using this product, going through the menopause is making my hair thinner, I was very disappointed, gave it two stars as it did give body to my hair, but certainly no thickness at all, I get quite annoyed as these products should give results of thickness, (they either do or they don't) I had used grow gorgeous products before when they first came out (the density shampoo & conditioner) worked brilliantly, but since grow gorgeous was taken over I had to stop using them as I started to notice my hair colour was not lasting as long. I thought this product would be different and work. Love Grow Gorgeous serum so when I saw this in my advent calendar was really pleased. Tried it and it leaves my hair soft and really healthy. I have dry hair and it no way dries it out further so don't really understand the bad review to be honest. I will be buying full sized product now. 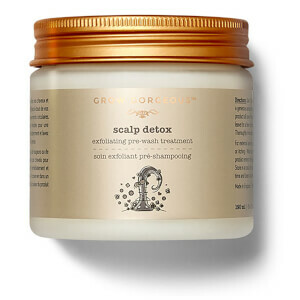 Just used this for the first time as I received it in my advent callender, I used the grow gorgeous scalp detox first (also in the callender) I just had to give a review as this is so good! My hair feel so soft and full, normally I have to put a oil on before a dry it but with this I didn’t, I will carry on using this and will deff buy the full size tub after. Forgot to mention the SHINE on my hair right now! The worst hair masque I have ever used in my entire life. It’s drying my hair so badly,I just want to chuck the masque in the bin and get my money back. What a scam brand. Very dissapointed. I have thin hair, very prone to static. Got this product in LF advent calendar and am smitten with it now. My hair feels soft, manageable and appears to have more volume now. Will be ordering full size. Panic bought this product after noticing a huge increase in hair breakage and loss and it did not disappoint! After 2 weeks of using my hair already feels thicker and healthier. When i was my hair I find that hardly any hair falls out now whereas before I would end up with huge amounts in my hand and hairbrush! Will definitely continue to use, i am converted!